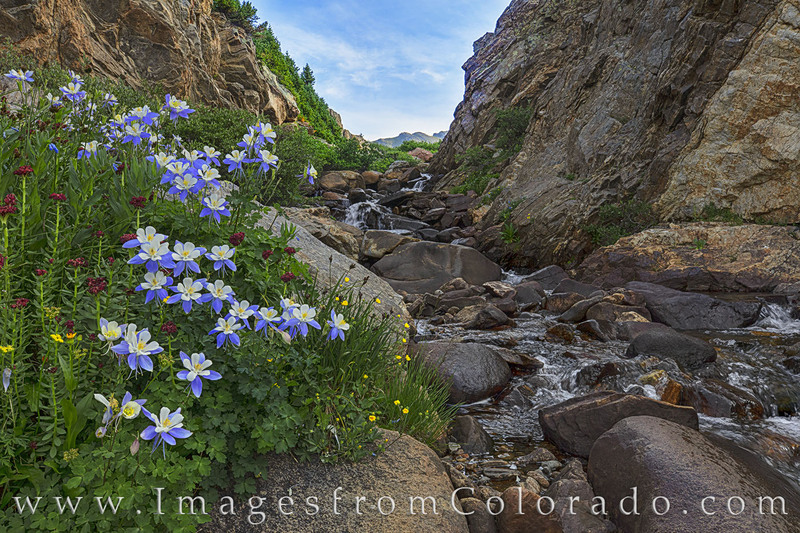 Beautiful Columbine, Colorado’s state wildflower, fill in the rocky crags of a small stream flowing down from Independence Pass. This area, while not in the Maroon Bells Wilderness, is a short drive from Aspen on the Lost Man Lake Trail. The July morning was amazing and the flowers were prolific. Photo © copyright by Rob Greebon.